Biofilms—the scourge of healthcare facilities everywhere—are colonies of microorganisms that form protective coatings for microbes. 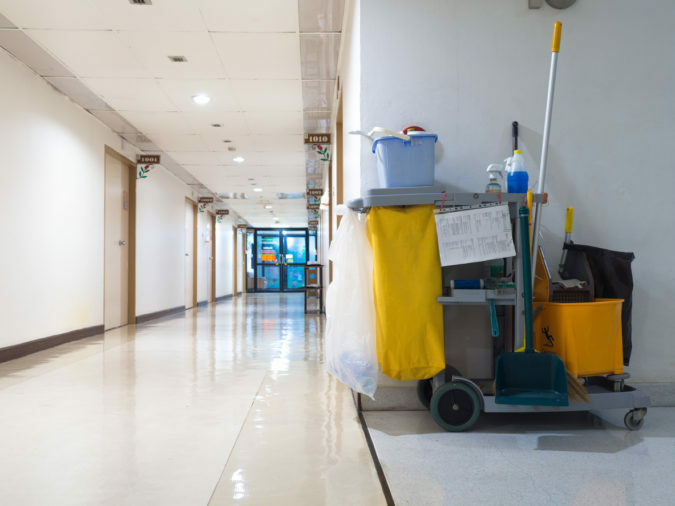 Biofilms shield these microbes from heat, ultraviolet light, cold, disinfectant chemicals, and antibacterial drugs—all the things health care facilities use in their ongoing efforts to eradicate microbes. Despite standardized processes thought to be effective at sterilizing medical devices and implants such as catheters, prosthetic joints and heart valves, biofilm is so pervasive and robust that serious harm has befallen numerous patients. So, what can be done to alleviate this problem? Biofilm often appears as slime or discoloration that forms in sinks, faucets, around floor drains, and other surfaces. However, biofilm often forms on hidden surfaces, such as air handlers, A/C evaporation trays, water-cooling towers and water coolers, features and fountains. In fact, one of the problems in combating biofilm is that the entire hospital has to be addressed, not just clinical areas. Because biofilm can form in air handlers, they can travel freely throughout the facility. A multidisciplinary and multimodal approach is needed to eradicate biofilm. Areas that should be targeted include water supply lines, idle faucets, drains, bathrooms, floors, moist/damp areas, soiled utility rooms, soiled laundry shafts, ice machine drains, water fountains, boiler rooms, air vents, etc. Personal Protective Equipment (PPE) should always be worn by those tasked with the removal of biofilms, and workers should be trained in the science of biofilm removal. For example, bleach is not an effective way of removing biofilm. Hypochlorous acid (HOCl) is a better (and safer) solution. HOCl is an EPA-registered, hospital-grade disinfectant that is effective in eradicating biofilm. However, ES professionals must have a complete understanding of HOCl reactivity. Like bleach, HOCl has a hazardous reaction with ammonia, and can produce chloramine gas, which could cause respiratory distress or death. HOCl should never be introduced directly into any drain without first flushing the drain with clean water. Scrubbing or high-pressure spraying is a popular choice for biofilm removal, though that depends on where the biofilm is located. It may be inappropriate to use a high-pressure sprayer in a clinical area, for example. Steam is a useful method in combating biofilm. Normally, two types of steam generators are used for biofilm removal, low-pressure and high-pressure. Both systems feature high temperatures, which can dislocate and kill the biofilm cells. Low-pressure/high temperature electric powered generators usually work with a self-contained steam chamber in combination with brushes or cloths. These are ideal for small spaces. High-pressure/high-temperature generators rely on high-pressure water nozzles to disrupt and remove biofilm. Once the biofilm has been removed, any contaminated water should also be removed, followed by a clean-water rinse, and then an application of a properly diluted solution of HOCl. Not only should PPE be used and documented, but the buddy system should be implemented as well—especially in closed and potentially dangerous environments. All cleaning materials used by ES professionals (brushes, wipers, buckets, scrapers, mops, steam generators, etc.) must be thoroughly cleaned and disinfected. You will never completely eradicate biofilms from the health care environment, but every reasonable effort to prevent its presence and proliferation must be taken. Continual training of your ES staff must be ongoing. For more information on eradicating biofilm from your healthcare facility, contact Vanguard Resources.